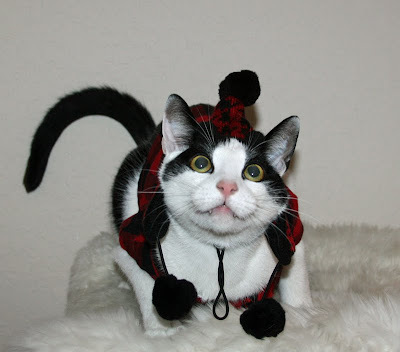 Daisy the Curly Cat: Lumberjack Wear! LOOK! I can model the WINTER CAP, too! Only I know it goes BEST with this PLAID winter SHIRT. Do I look like a RUGGED lumberjack? The BEST part of this CAP is the TOY on the TOP. I am showing you my TEETH. Because I am HAPPY! Does ANYBUDDY have any WOOD I can CHOP DOWN? Look at my BALLS FLY!!1!!!! Action shots are COOL! Wow! Flying balls! That's very manly and rugged. I do not have any wood for you to chop down Harley. Sorry. great for cooler clime- Happy weekend!! Clothes with built-in toys! That s so perfect! You sure are a rugged lumberjack!! We're really impressed with how well you wear that hat!! Harley, we have some wood you can chop do come on over. That is one terrific Lumberjack outfit. We sure are glad you showed us your teeth too. And a paw bump too. You are becoming quite the model. Good job. Harley, you are the manly rugged lumberjack. 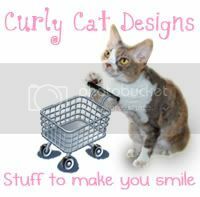 You and Daisy need to hit the cat walk :) You are two talented models. That's a very handsome and mancatly outfit Harley! And we LOVE the action shot! Dat is da best outfit evfur! We has lots of wood you cans come by and help us choppy down anytimes! We luvs da hat! That's what I am talking about Harley! Return of the ManCats! Harley we fink yoo are the best dressed mancat we have ever seen! and have buttered scones for tea"
Sorry Harley...mom is a big Monty Python fan. 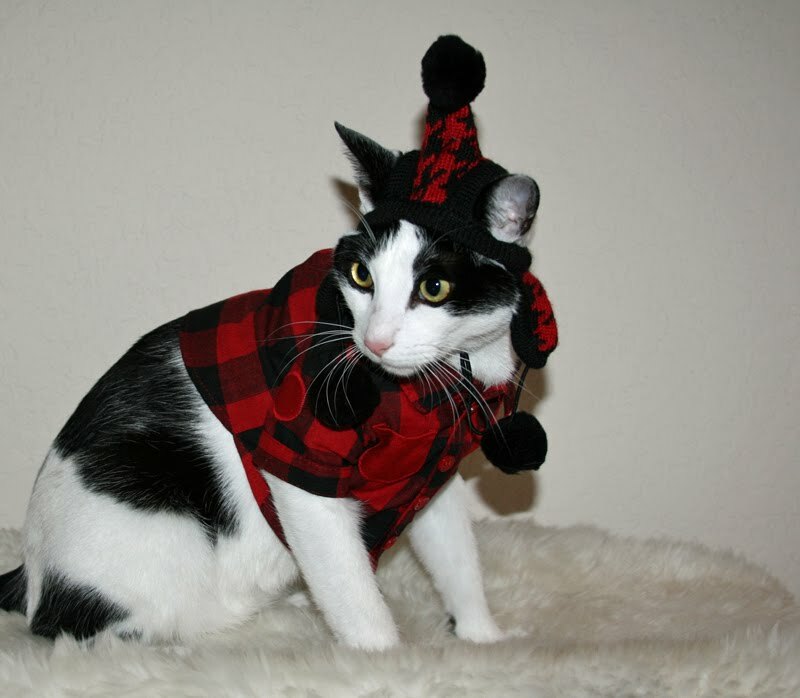 Harley you look so rugged and handsome wearing your lumberjack gear we are quite overcome by your manliness. Harley,the shirt is very manly and you look like a lumberjack in it. But the hat we are concerned about. Wouldn't those balls get in the way when you are chopping wood? oh Harley - that's furry manly and pawsome! Like a "real" model--I don't think you have to actually chop the wood to look handsome, Harley. You are very manly in that outfit. Very Nice, we like the look. WE have lots of wood you can cut down here. You look very manly. Have a great weekend. You look gorgeous Harley, in a mancatly sort of way. I wish I had some wood for you to chop! Mr. Harley, we just love it when you smile and show your teefs. That hat goes PERFECT with your shirt. You done good. WOWZA Harley! Yoo lookvery many and rugged in that owtfit! What a cool outfit! You look just like a lumberkack. Sammy-Joe would bite our Mama's hand off if she tried to put clothes on him! 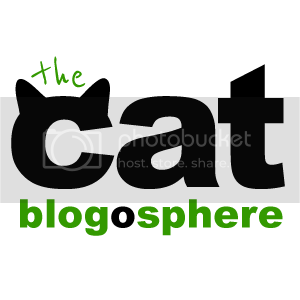 Speaking of Sammy-Joe, he's giving away a cool cat toy on our blog today! Go check it out! And hangs around in bars! But we think you are very handsome, Harley. You can come here to Montana and chop wood anytime Harley! MOL!!! Flying balls.....too funny! You do look very mancatly though Harley! You look like a very rugged lumberjack. Harely you are so cute I can hardly stand it!!!! Very cute costume! Your People is very talented. We don't get it, mom started singing dat Monty Python song and giggling den she saw yoo wif yoor flying balls and she laffed so hard she almost choked...we think yoo look furry handsum. Our mom is kinda weerd! A hat that doubles as a toy - even I might kind of like that! Harley you are the best looking lumberjack I've ever seen. That second picture is adorable and made me smile. You come on over here and Duke and I will find you some wood to chop. Oh Harley! How cute are you? I hate to say it, though -- I don't think any self-respecting lumberjack would be caught dead in such an outfit -- especially that hat! It's adorable on you, though, don't get me wrong. Actually, Domino is modelling an outfit with balls on it, too, today. You two would look good together (but don't tell Milo I said that). MOL at Pabs comment. You make a good lumberjack Harley. You can come and help our dad chop up wood if you want to. That sure is some hat, Harley. If we needed firewood here in Florida, I'd have chop it up for us! You look pretty warm, Harley! Perhaps we shouldn't bring this up, but if you are a lumberjack carrying an axe while wearing that hat, wouldn't you risk cutting your balls off? I had a wood catched in my furs today!! You could have helped me get it off, huh, Harley!? But now that stick is all gone cuz He cutted my furs to get that stick off me. MOL!!! MOL!! "flying balls!!!" OMC I am dying! 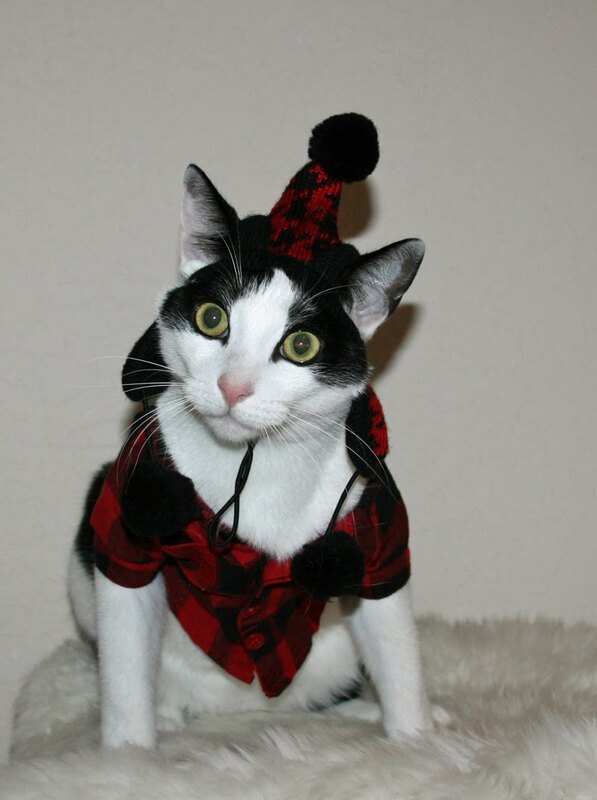 Nope you don't look like a lumberjack Harley you look like a kitty clown!! OMC! I cannot believe you are SMILING wearing that!!! MOL! I love the picture where you are showing your toofies! It is so cool that your outfit comes with a toy. Then, if you ever get caught waiting at the buss top you'll have a way to pass the time! P.S. Mum met a lady the other day who is planning on calling her human baby girl Harley Quinn. All she could imagine was you leaping out of the crib, and had to fight really hard not to burst into giggles! You look very handsome, Harley! It's so cool that you have toy on your cap!! Wow Harley, you look really cool in your lumber-jack outfit! 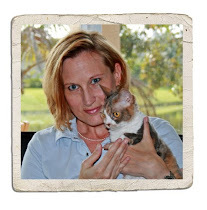 Sara sends purrs & thanks you for visiting her Nils Holgersson-post! Great Balls of Fur!!! 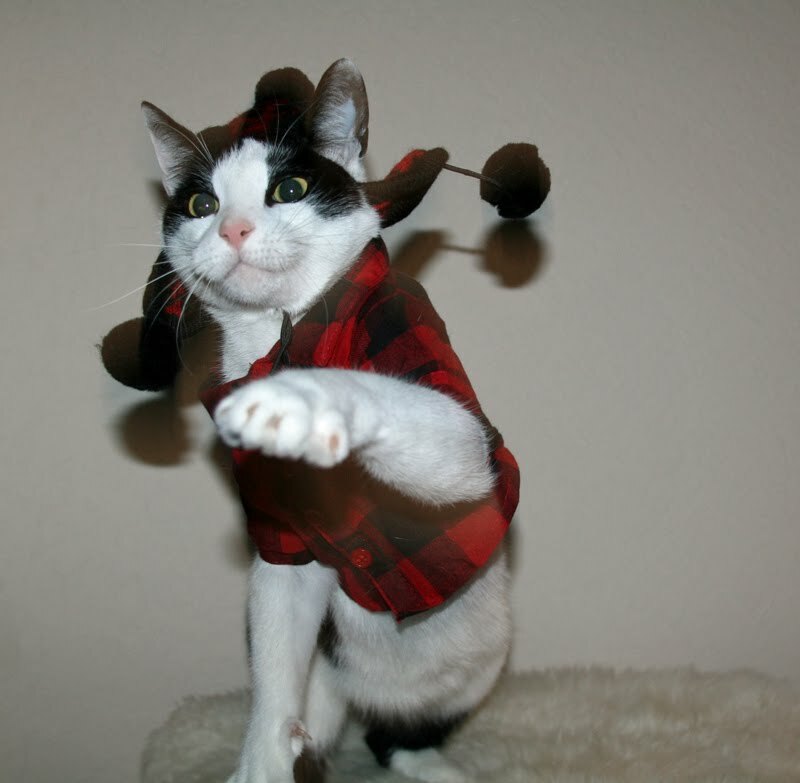 Harley, you look very ManCatly in your lumberjack clothes. Harley, you are such a handsome Lumberjack! I love the action shot! Those balls look like FUN! Harley, you look both handsome and comical in these shots. The red and black plaid does suit you very well. My human started singing the Lumberjack song from Monty Python! Boy, is she old! Looks like a few others who commented were reminded of the song too. Wow, Daisy, that is a great outfit! You are a good lumberjack. Did you work in the Sahara Forest? We are soooo looking at your balls fly!!! Ahahahahaha! Hahaha! Oh Harley you look like a Canuck! "Oh I'm a lumberjack and I'm okay..."